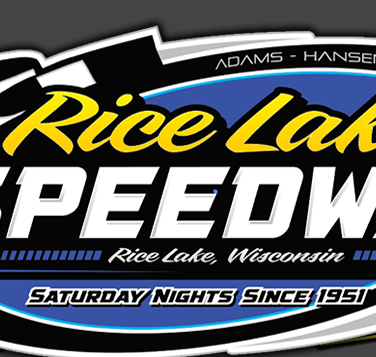 RICE LAKE, WI (May 24) - The UMSS winged and traditional sprints were the featured attraction Saturday night at the Rice Lake Speedway and they didn’t disappoint the large crowd on hand as Jerry Richert and Joseph Kouba won their respective divisions. The five regular classes that also compete at the speedway were in action too, and Sam Fankhauser became the first repeat winner in the street stocks as he made a late race pass to take his second win of the year at Rice Lake. Other winners included Cory Mahder, Eric Olson, Shane Halopka and Jason Havel. The street stock feature event was a highly competitive race that saw a group of eight and sometimes nine cars all racing in the lead pack and jockeying for position on every lap. After a first lap yellow when the front end broke on Andy Cimfl’s car, the race ran nonstop from that point to its conclusion. For the second straight week, Troy Chaplin led the majority of the contest as the second year driver looks for his first ever win, but again Saturday, he came up short after giving a good effort. Chaplin took the immediate lead with Kolby Kiehl just behind him and challenging on every corner. Josh Amans worked to the low side while Cody Kummer tried to go to the high side around the entire pack. Fankhauser started in the third row and he and Ron Hanestad continually moved around the track, seeking small holes to which they could fill and gradually work toward the front. Scott Clark and Adam Soltis were in the next row and they also were a part of what was a real wad of cars all wanting the top spot. Kummer made a supreme effort to get by on the top side but he wasn’t able to get the move accomplished and he fell back and Fankhauser then tried to use the high side. As the race continued, Chaplin continued to hold the lead but he was rebuffing challenges constantly. Finally, with only four laps to go, Fankhauser was able to position himself beside Chaplin for the lead and with a hard run down the back chute, he edged past Chaplin for the lead. Then the gates broke as first Clark and then Kummer were also able to get past the previous leader. The race wasn’t over yet though, as Clark, looking for his first win still, charged in on Fankhauser who was still running the higher line. Clark blasted off the final corner and came up just a half car length short as Sam held on for the win. Kummer settled for third with Chaplin and Hanestad completing the top five. Mahder started on the pole for the modified main event and led all the way for his first Rice Lake win of 2014. He pulled out to a comfortable lead right off the bat as Jesse Glenz battled past Pat Hoffman to take over second and try and track down Mahder. Kevin Adams was on the move along with Mike Anderson as they worked their way into contention. Lap six saw the yellow fly as Destin Lorimor got into the back stretch wall hard and rolled to a halt. Mahder again took off strong on the start and pulled away as Adams moved in to challenge Glenz for second. When Jesse slid up the track, Kevin took the spot and then set after Mahder as Anderson moved into third. The top three were all pretty even and as the laps ground down, no one seemed to be able to make any distance between the three. Mahder carefully worked through traffic on the final few tours, and while Adams was able to close in some, Mahder never received a serious challenge as he took his first win here in 2014. Glenz held on for fourth and Mark Hessler worked his way into the top five late in the event. Patrick Heikkinen led the first lap of the super stock feature before Shane Kisling was able to take over the lead from him. Soon Olson charged up from the second row and he was able to work the low side and drive under Kisling to take over the lead. Luke Plank was moving up smartly from the third row with Willie Johnsen Jr. following him and they battled their way past Kisling for position also. Bart Steffen and Jason Forehand were also moving and soon it was a four car battle for the second spot while Olson continued to cruise up front. A lap thirteen spin closed up the field and proved costly to Plank as while Olson was able to get away again, Plank was surrounded on all sides on the restart with Steffen driving under him for second and Forehand taking him on the high side. Johnsen also got by him as Luke was shuffled back to sixth. Steffen seemed to close on Olson some but then Eric got back up on the wheel and started to edge away again. He maintained his margin as he became the fifth winner in five races in the super stocks. Steffen had to hold off a late challenge by his buddy Forehand to maintain second and Plank was able to regain a position from Johnsen Jr to complete the top five. It was a tough night for the Midwest mods as a couple of multi car wrecks in the main event plus lots of spins in the qualifying action led to a tedious part of their program. While there weren’t a lot of cars not able to go the distance, most completed the race with lots of body damage, including winner Halopka. In fact, Halopka triggered the first yellow of the event after three laps when he got turned in corner four and the yellow waved. On the restart, Nathan Thums, who had led from the start, again held the point but behind him they tried to go four wide off turn two and it wasn’t a wise decision as several cars tangled, blocking the track and triggering a red flag. This action cost Tito Viltz, Joe Chaplin Jr and Mike Schnider their participation in the rest of the event. Thums continued to lead on the restart as Halopka worked his way into second while Travis Anderson, Josh Smith and Dusty Brown battled for position also. Once more, three cars got together off turn two and while all were able to drive away, the yellow flew once again. This proved to be the key moment of the race though, as on the restart Halopka was able to get up beside Thums and drive deep into the corner and make the winning pass. With only a few laps left, Halopka then pulled away to guarantee his first triumph at Rice Lake. Thums finished a strong second as did Smith with his new ride while Anderson had to settle for fourth while Brown earned his first top five finish of the year. The beat goes on for Havel as he won his fourth Pure Stock feature in five nights. Once again it was a tough struggle but Jason prevailed in the late going with another pass for the win. Bob Thompson led for many laps of the main event with Joel Hinrichs and John Erickson challenging. Havel was able to get to the outside and move up after starting eighth, and he raced into the top three when a lap nine yellow for a spin slowed the action. On the green, Havel again drove to the outside and he was able to move up beside Thompson and then drive past him down the back chute to take over the lead. Erickson was also able to squeeze past Thompson and move into second and on the final two laps, he did close on Havel, who was carefully running the corners. Erickson made a mighty push on the final corner but the best he could do was to draw to Havel’s rear bumper as Jason motored across the line for another win. Thompson settled for third with Hinrichs and C.J. Wagner next in line. Next Saturday, May 31, there will be a regular program of racing in all five classes with the hopes that there will be enough Hornets on hand to run their first program of the year. 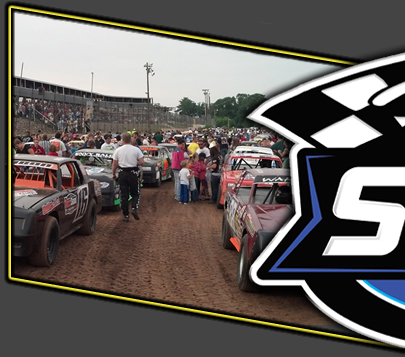 The George Rhoe Classic for super stocks comes up on Tuesday, June 10 paying big bucks in that class and it will be “Saturday on Tuesday”, as the other classes that run at the speedway will all be on hand for a regular, point paying program. The speedway will then be silent on June 14 as the racers take the night off before returning on June 21 for the WISSOTA Race of Champions qualifying night. All programs see hot laps at 6:30 p.m with racing to follow. 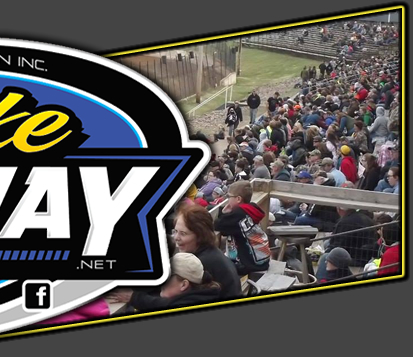 Check the speedway website, www.ricelakespeedway.net for more information.